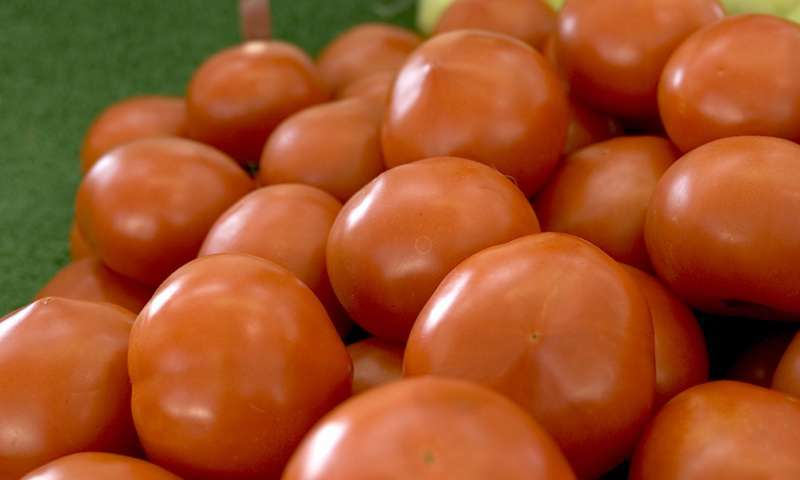 Michigan State University's Robert Last studies tomatoes. Specifically, he researches their hair, or trichomes. For this study, he focused on a single type of molecule in trichomes - acylsugars. The secrets Last and a team of MSU scientists found from studying these specialized metabolites open an evolutionary window for the emerging field of plant defense metabolism, insights that could lead to engineering advances for better pest resistance and human medicine. "We sought to understand how this novel pathway originated and diversified across 100 million years of plant evolution," said Last, MSU Barnett Rosenberg Professor of Biochemistry and Molecular Biology and Plant Biology and the study's senior author. "This is our crystal ball, our view into evolution." The crystal ball revealed that many of the enzymes that make acylsugars are "promiscuous," meaning that they could use a variety of molecules as starting points for their chemical reactions. This could be the key as to how the plants make a variety of acylsugars. Deciphering these codes are important because tomatoes' acylsugars are natural pesticides. Engineering plants to produce acylsugars could reduce pesticide use in crop production. Additionally, some of these mechanisms could help make chemicals that have pharmaceutical value, including ones that treat cancer and heart conditions. "Plants are master chemists, and we're only just beginning to understand the metabolic pathways that they use to produce these amazing compounds," said Last, who's also an MSU AgBioResearch scientist. "By understanding how the pathways evolved to produce these enzymes could lead to innovative ways to make valuable compounds on a large scale."